Home » Does Outpatient Detox Work? How Do I Get Clean and Sober? Often the first step of recovery from drugs or alcohol is entering a detox facility. The two main settings in which detox takes place are inpatient and outpatient. Outpatient provides patients with the freedom to continue their daily lives while detoxing. Although outpatient provides less structure than inpatient detox, it can still be effective in managing withdrawal. How Many People Have an Addiction? As we know, it can be challenging for someone to overcome drug use on their own. Uncomfortable withdrawal symptoms, medical complications, and intensified cravings can cause even the best-intentioned people to relapse and fall back into the cycle of addiction. For this reason, many people find that a formal outpatient detox program represents the first step towards recovery. Detox refers to a group of interventions intended to assist someone either acutely intoxicated or in the midst of drug and alcohol withdrawal.2 Detox aims to enhance a person’s comfort and safety throughout withdrawal by providing medical and psychiatric support, monitoring, and stabilization. Furthermore, detox also helps facilitate a patient’s admission into comprehensive treatment for addiction. After all, for many people, detox is only the first step towards achieving recovery. There are different detox settings, and the right setting will depend on the drug of choice, the severity of addiction, and mental and physical health. 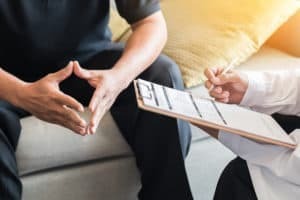 Outpatient detox programs provide a structured setting in which patients are required to attend onsite meetings and services for several hours each day ranging from 3 to 14 days.3 A multidisciplinary team of physicians, nurses, therapists, addiction counselors, and technicians provide support in evaluating the patient and providing care. Outpatient detox is different from an inpatient setting in the sense that it does not provide 24/7 monitoring and management. When a patient undergoes inpatient detox, they live on-site and receive continuous care. There is complete separation from the substance-using environment.3 Potential downsides to inpatient detox include the fact that it generally costs more than outpatient services and that it may enable a temporary avoidance of personal responsibilities by facilitating patient over-dependence on treatment staff. Support Systems: Detox centers may integrate 12-step meetings, group therapy meetings, and client advocates to intervene with patients who wish to leave detox prematurely. Medications: As part of a medical detox protocol, many patients benefit from medications, such as methadone, Suboxone, to manage withdrawal or craving symptoms associated with opioid abuse. 4 Furthermore, patients struggling with co-occurring disorders, such as depression or anxiety, may receive psychiatric medications that help alleviate or reduce the negative symptoms associated with detox. 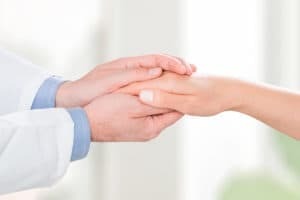 Though outpatient detox can be effective for those with relatively mild substance addictions who are not at risk of severe withdrawal, there has been limited research to document the respective success rates and other differences between outpatient and inpatient detox centers. One study examining 164 patients found that significantly more patients completed inpatient detox compared to outpatient detox.2 As the addiction epidemic continues to unfold, more research will likely emerge comparing different detox outcomes. Like with any treatment, everyone’s detox experience will vary. This means that every patient will respond differently to interventions and suggestions. Patients withdrawing from opioids, which can cause distressing and painful withdrawal symptoms. Outpatient detox is less structured than inpatient detox, as patients are not medically and psychiatrically supervised at all times.2 As patients do not live on-site as they do during inpatient or residential treatment, there may be easier access to drugs and alcohol. In some instances, factors such as these can lead to premature drop-out and increased relapse risk. However, outpatient detox can provide tremendous support for patients struggling with substance addiction issues. 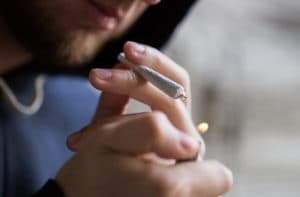 It is a cheaper and less-invasive option to inpatient detox treatment and can represent a person’s first point of contact with substance abuse treatment. Substance Abuse and Mental Health Services Administration. (2017). Mental and Substance Use Disorders. Substance Abuse and Mental Health Services Administration. (2008). Detoxification and Substance Abuse Treatment. Hayashida, M. (1998). An Overview of Outpatient and Inpatient Detoxification. Alcohol Health & Research World. V. 22 N. 1.